ということで、まず理解すべきはWhat is the style guide for adding and editing venues? ・Always use correct spelling and capitalization. - スペルと capitalization を正確に! – capitalization って大文字小文字もきちんとねってことですか? 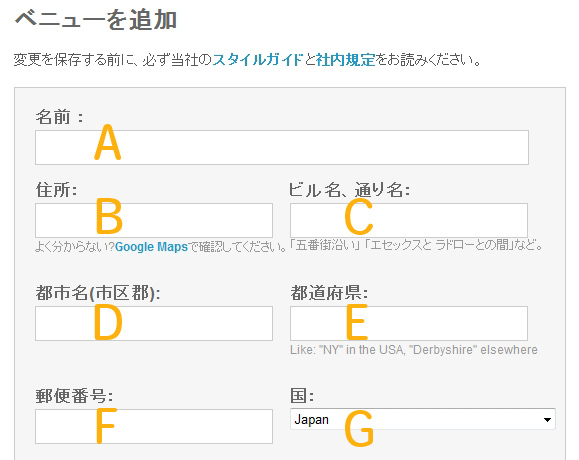 ・When in doubt, please format venue addresses according to local postal guidelines. *そもそも、愛媛県松山市で Matsuyama ,Ehime Prefecture って入力されるのは、foursquare の仕様じゃなくて google の仕様ですよね? 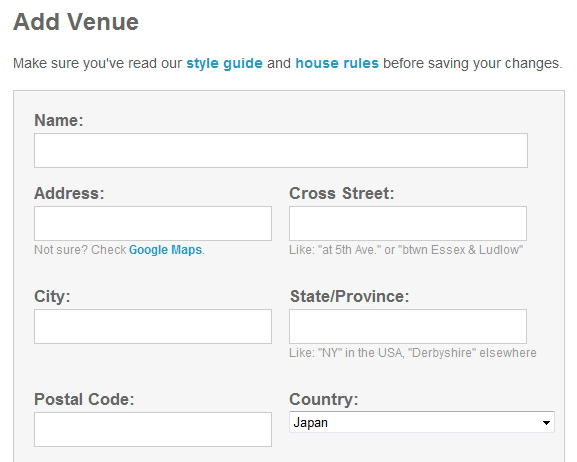 When in doubt, please format venue addresses according to local postal guidelines. – For chains or venues with multiple locations, you no longer need to add a location suffix. So “Starbucks” or “Apple Store” is fine (instead of “Starbucks – Queen Anne” or “Apple Store – Uptown”). – Be respectful of other users. > – Be respectful of other users.